THE WAR MOVES ONCo. 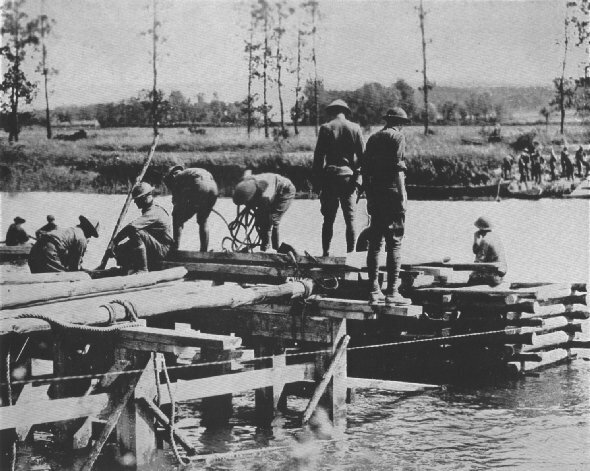 A, 6th Engineers, 3rd Division, constructing a combination trestle bridge across the Marne River, east of Chateau-Thierry. This bridge was constructed for the use of Franco-Americans in the offensive that drove the enemy back to the Vesle River. Mezy, France, July 24, 1918.